What is GRIP SHEET ? GRIP SHEET is a slip sheet/tier sheet with Exclusive Anti-Slip Coating. Used between layers of goods, GRIP SHEET is the perfect solution to stabilize your bags, cartons or any kind of packages. – Decrease the number of damages, product loss and complaints. Grip Sheets are 100% recyclable and reusable, made from recycled paper. If you are looking for waterproof sheets check our CLEAR GRIP made from PET Plastic. Your products will be delivered exactly how you shipped them, preventing damages and load shifting. SQUARE GRIP is the MOST ECONOMICAL Anti-Slip Coating. The coefficient of friction depends on the size, material and weight of your packages. The CLEAR GRIP is a non-slip transparent plastic PET sheet. It is waterproof, washable and tearproof. STICK’N GRIP is available on two adhesive levels, permanent and removable. The Top side has a High Friction coating. This product is ideal for slippery and smooth steel or plastic pallets. You just need to stick some strips on top of your pallets and there will be no more sliding. Available in rolls and in multiple dimensions. 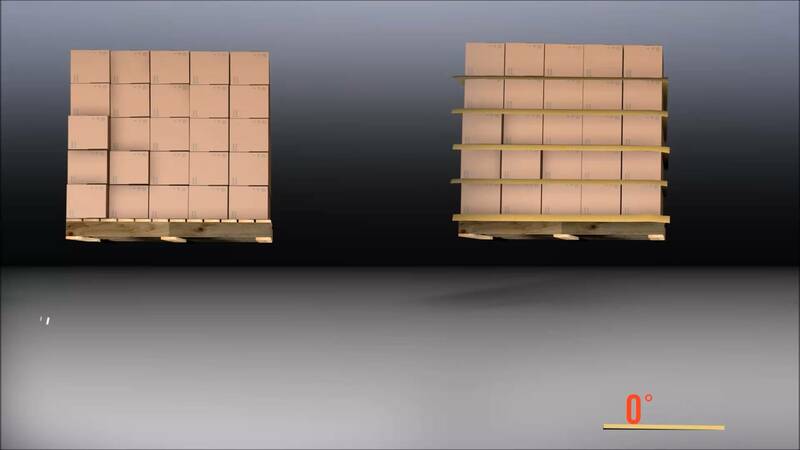 The video below shows a smooth plastic pallet with a strip of STICK’N GRIP Vs Without one. The anti-slip cardboard (chipboard or E-flute) GRIP PAD is especially designed for the most demanding applications. If you are looking for a cardboard tier sheet stronger than our GRIP SHEET, the GRIP PAD is the solution you need. GRIP PAD is available in E-flute or Chipboard, with a standard or waterproof GRIP SHEET coating. GRIP PAD is reusable and recyclable. GRIP’N SLIP SHEET is an Anti-Skid push-pull pallet. Slip Sheet Pallets replace the use of traditional wooden pallets in transportation and warehouse applications. GRIP’N SLIP SHEET solves ordinary slip sheets problems and will help you reduce costs, eliminate slippage, secure loads, increase productivity and safety. We have been struggling with this problem for YEARS! Many complaints that go back years. We tried banding. Double banding. Explored shrink wrap alternatives. You name it. Nothing we ever tried worked. We were actually in jeopardy of losing this customer if we didn’t come up with a solution. Your product just saved us! Since implementing your product we still have not had any issues! We bake cakes in pans that need to be washed and stacked on pallets. We replaced wooden pallets with plastic pallets and found that the pans would slide off the pallet during transport from one area of the building to another. This presented a safety concern. In addition, since the plastic pallets get reused many times, we needed to find a way to assure that the pans were not coming in contact with a soiled surface. We tried regular paper sheets, but they were just as likely to allow the pans to slide. In addition, they were prone to tearing and then not being useful as a barrier against soil. We tried clean cardboard sheets and found that they worked well, but were quite expensive. In addition, when the cardboard got wet, it peeled off onto the pans. The Grip Sheets solved both the safety issue and the sanitary handling issue at a much more reasonable cost, with reduced waste. At DAF, we’ve been quite satisfied with the results of using Grip Sheets, as well as with the quality of the service. 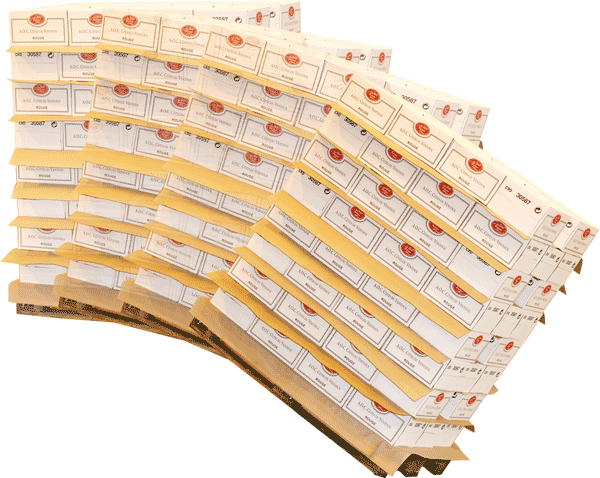 Our orders are processed quickly and efficiently, with email updates to keep us abreast of the status of the shipping dates. Do you want to secure your shipments and solve your load shiffting ?